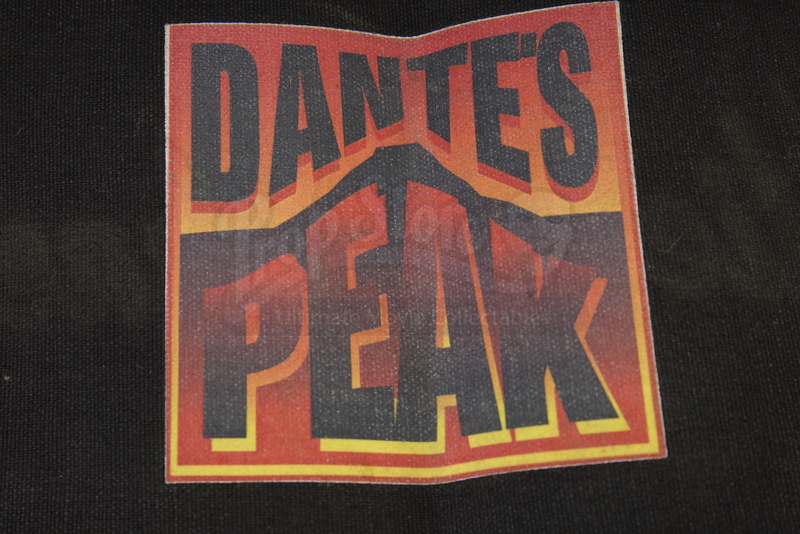 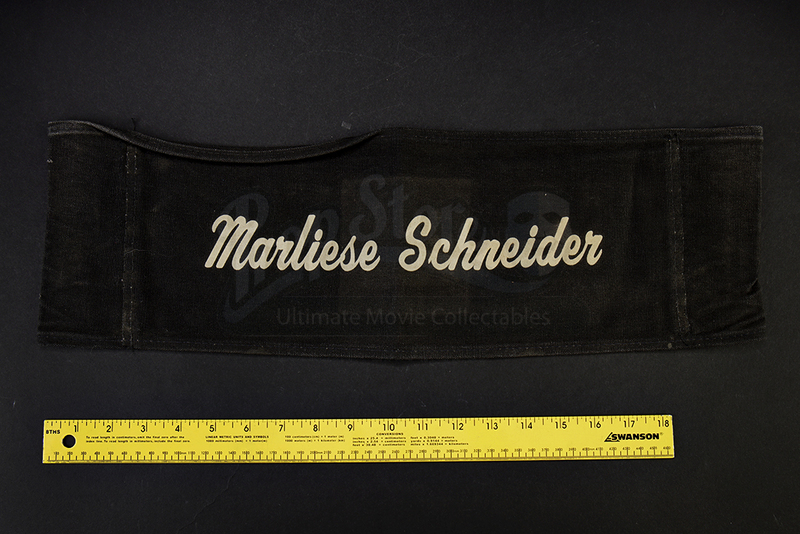 Marliese Schneider's chairback made for the production of Roger Donaldson's 1997 film Dante's Peak. 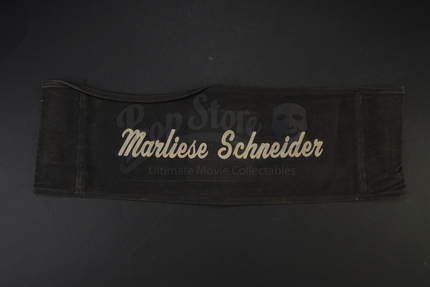 The chairback is made from black canvas and features the film's logo on one side and the name of the film's co-producer on the other. 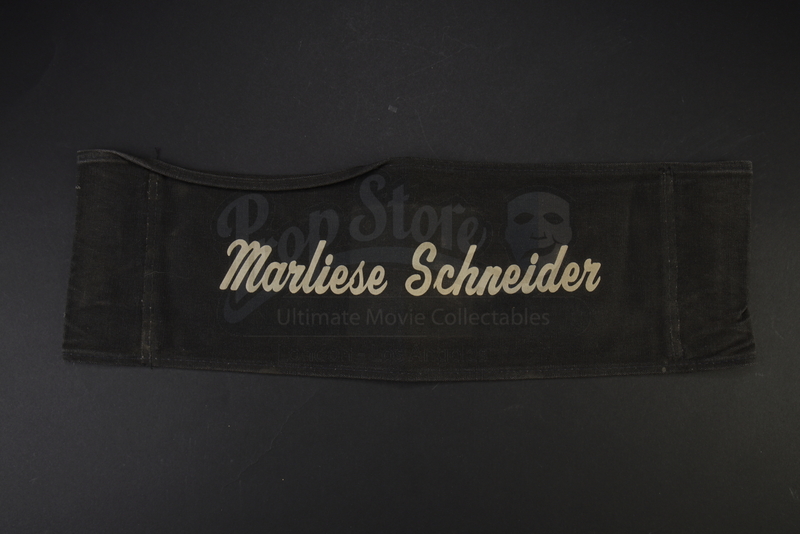 Both sides of the chairback has holes for placing on a chair. 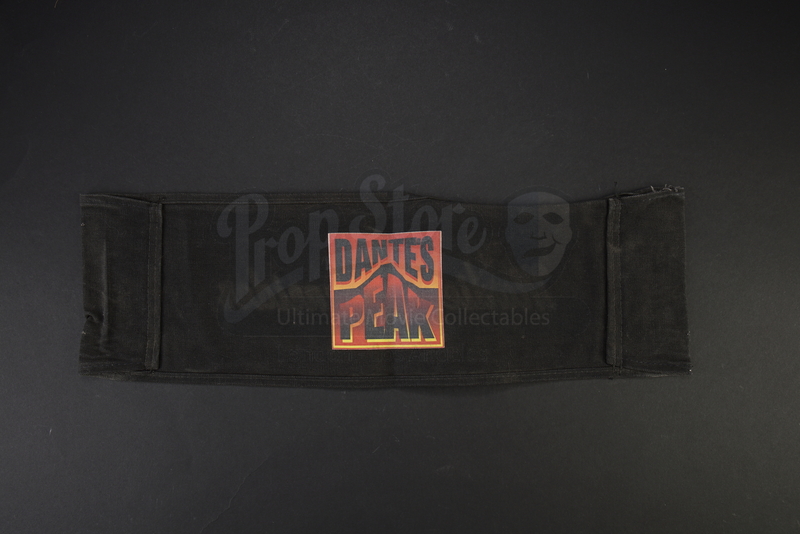 The chairback shows signs of wear from storage and age but remains in overall good condition.